While working on the Yale Road, Philip Jackman suffered a severely broken hand when the top of a tree fell on it in June 1865. Losing his job would have been particularly concerning as his second child, Emily Jane Jackman, was born five months later in November 1865. 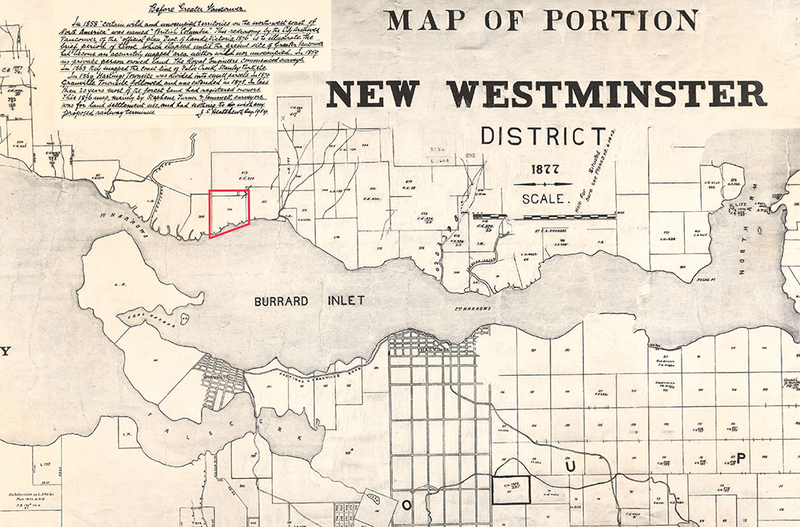 In 1868, the Jackmans moved to Burrard Inlet, where Philip worked as a whipsawyer at a lumber mill. Whipsawyer work consisted of twelve hour days but was likely seasonal. It would not have been easy work, but after his hand healed, Jackman may have had few choices but to return to the hard labour he was used to. 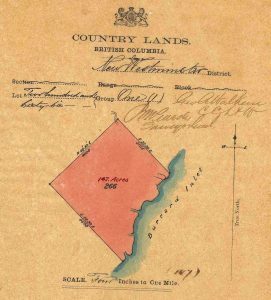 On March 31, 1871, Jackman made a successful petition for a military grant along Burrard Inlet, requesting 150 acres on the northern shore near the First Narrows (North Vancouver), an area almost exclusively dedicated to lumber production. The land was surveyed for his request and granted on February 20, 1872. This Burrard Inlet property was likely sold to repay debts incurred while injured.